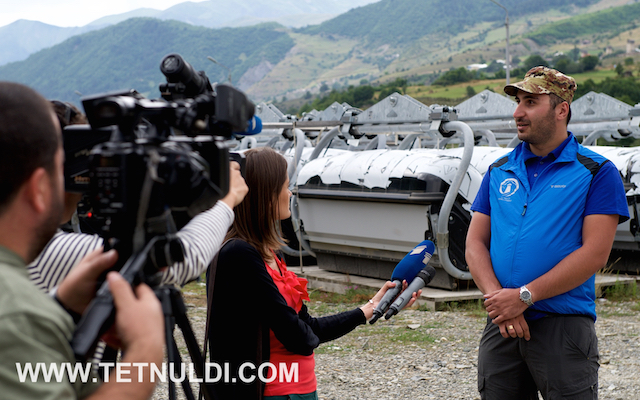 Deputy Minister of Regional Development and Infrastructure Eka Sepashvili and the director of "Tetnuldi Development", Uka Kiladze hosted the guests. 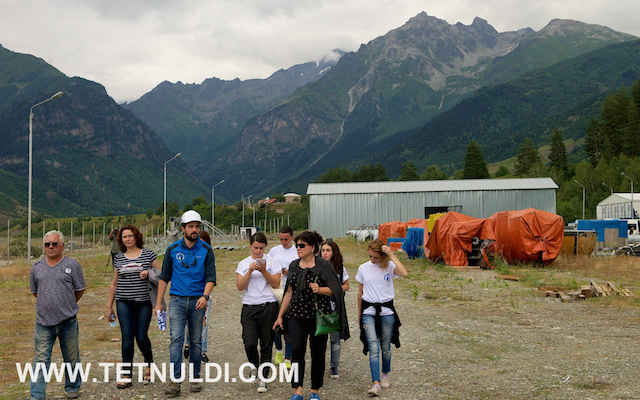 Journalists and representatives of tourist companies visited the tourist infrastructure and ongoing works, and were informed about the prospects of the resort development. 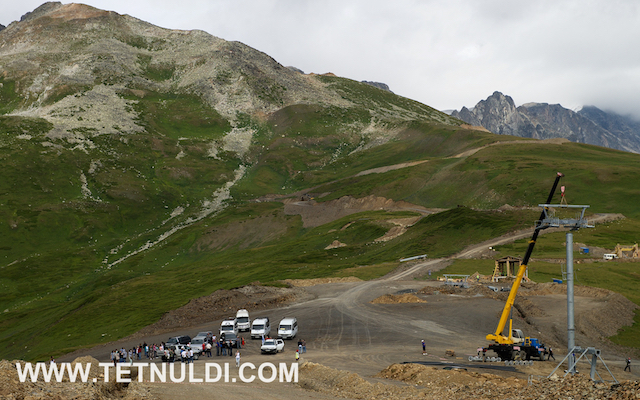 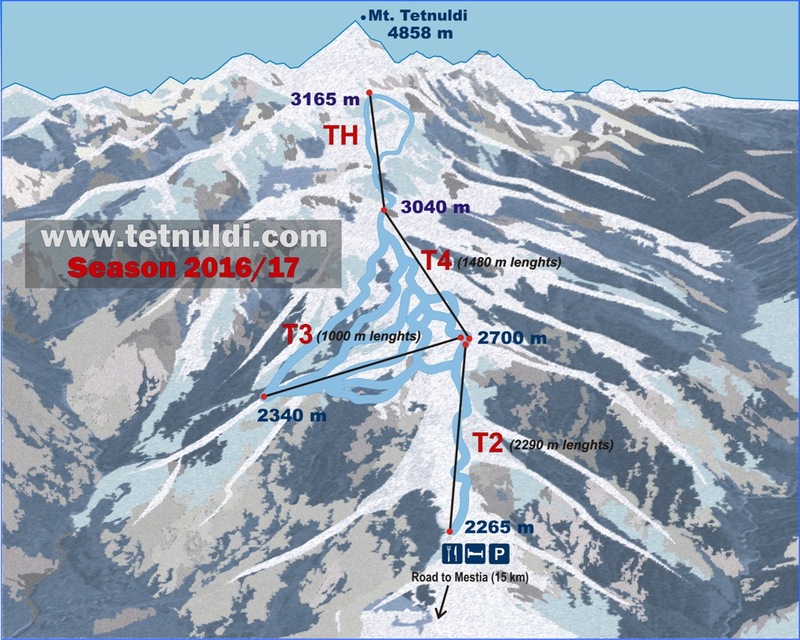 At the moment on the slopes of Mount Tetnuldi continues an active construction, the opening of the ski resort is planned for December 15 this year. 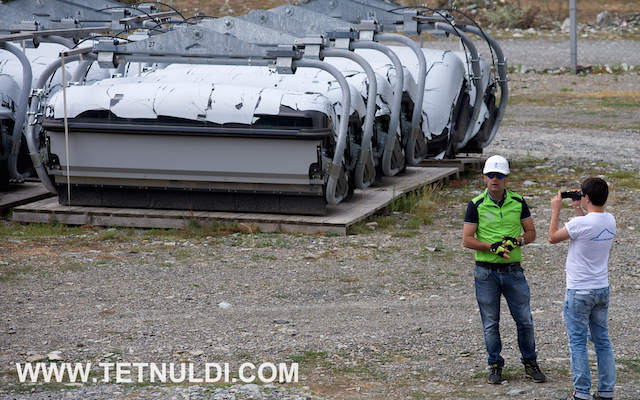 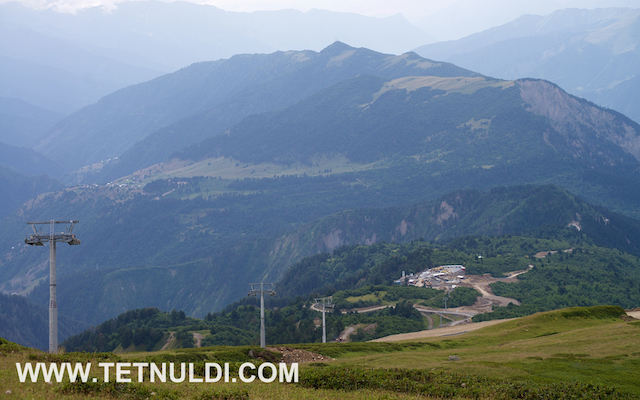 This year completed the first phase of construction - excavation and design of slopes, work on the creation of infrastructure, energy and water at the resort, the installation of three ski lifts. 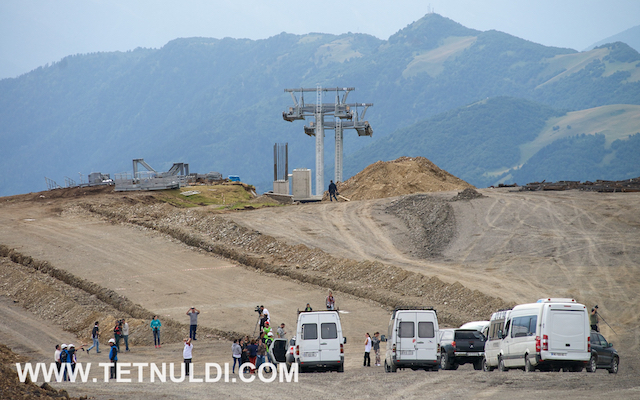 The costs for the implementation of this phase of the work amounted to 40 million Euro. 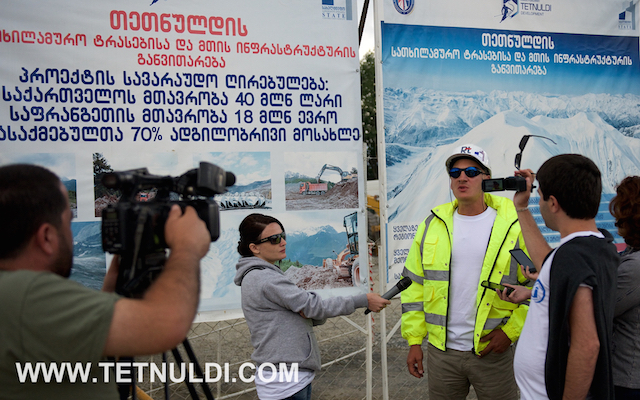 The construction of the resort was funded from the Georgian goverment budget and supervised by the Ministry of Regional Development and Infrastructure of Georgia. 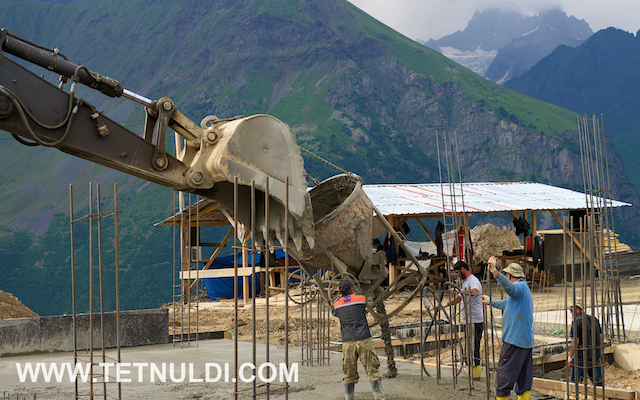 The opening of the resort is planned for December 15, 2015, if the external circumstances and the weather does not interfere with the progress. 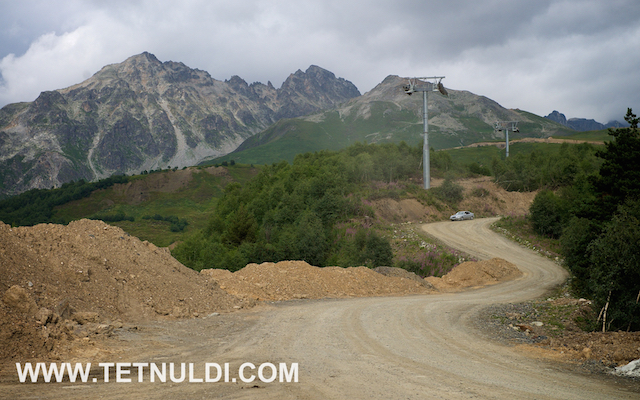 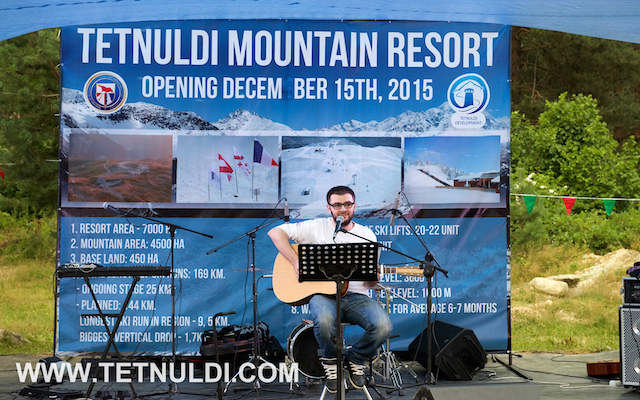 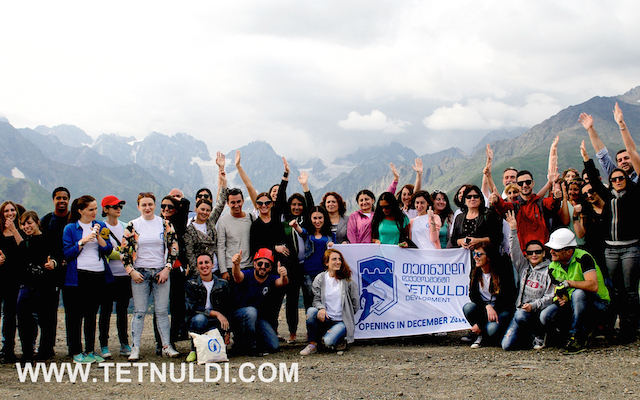 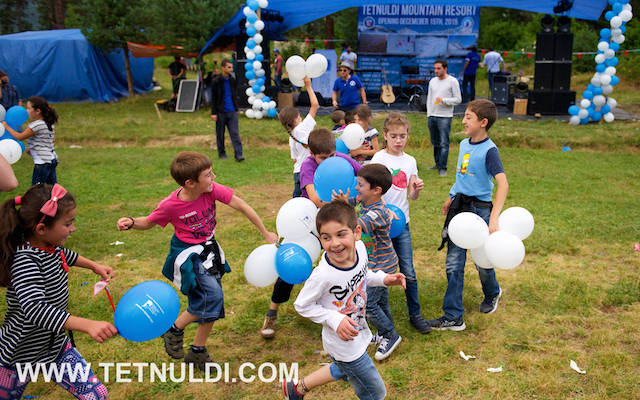 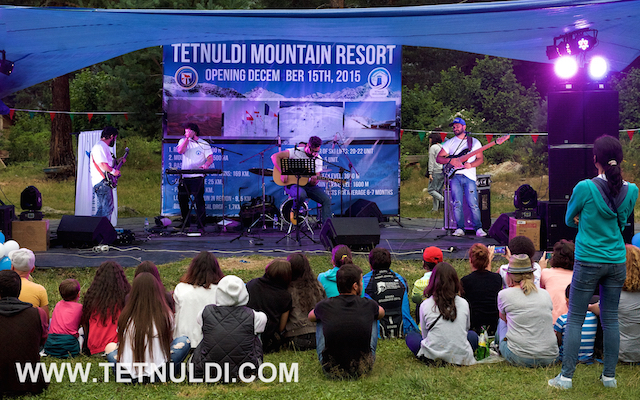 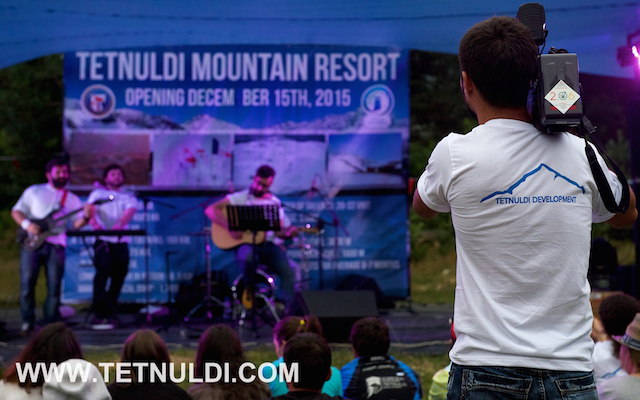 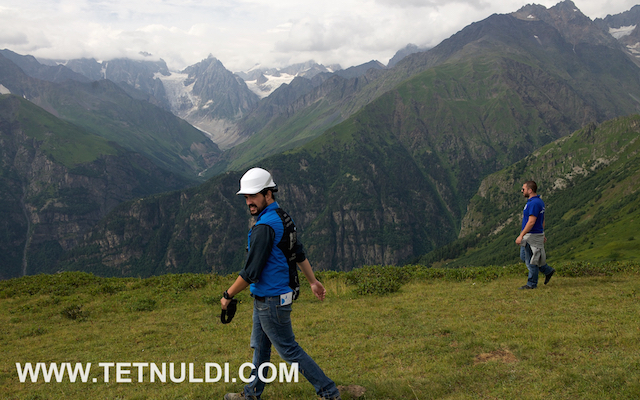 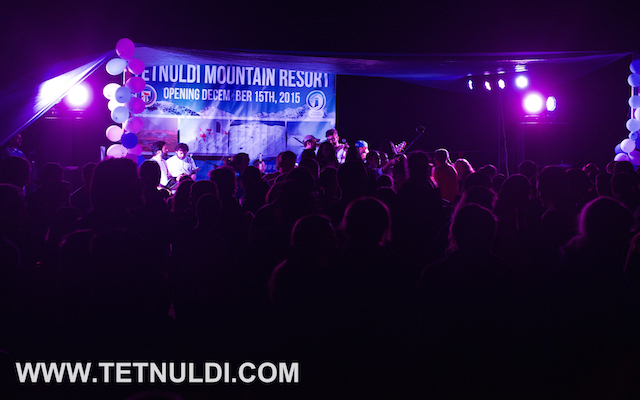 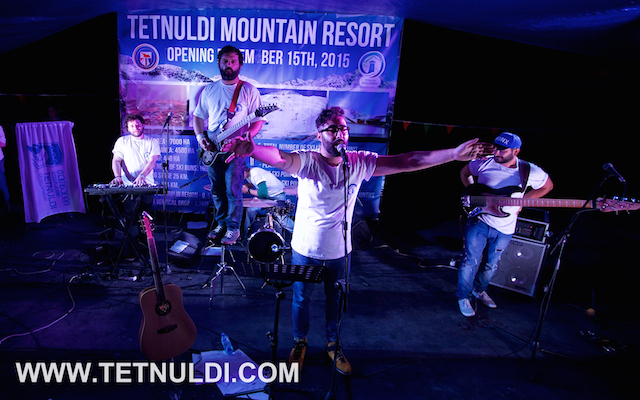 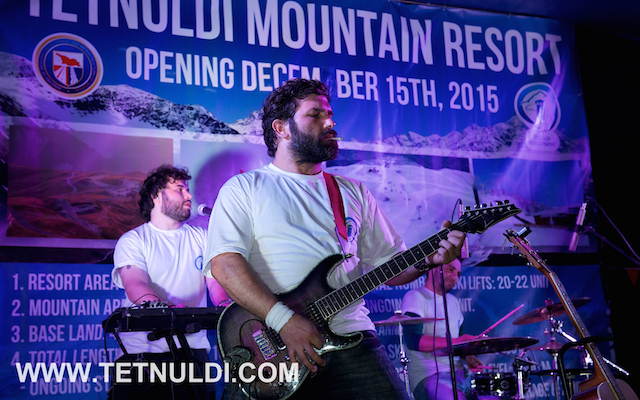 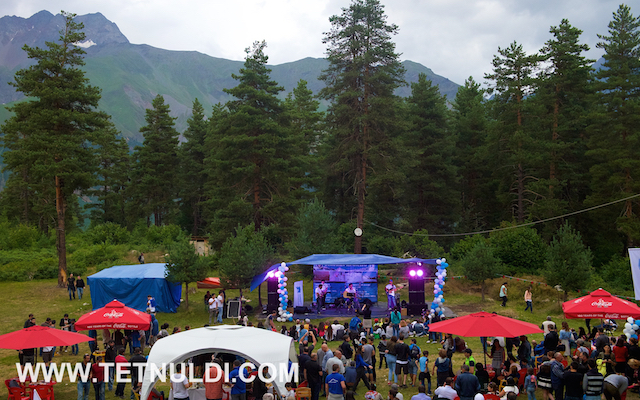 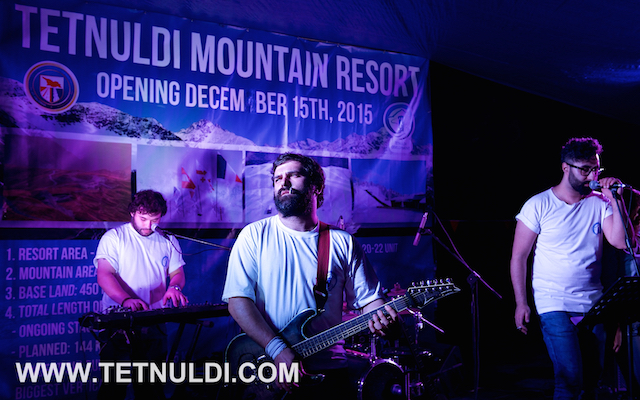 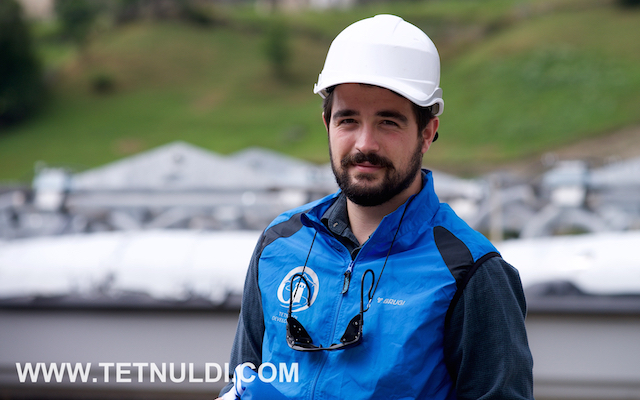 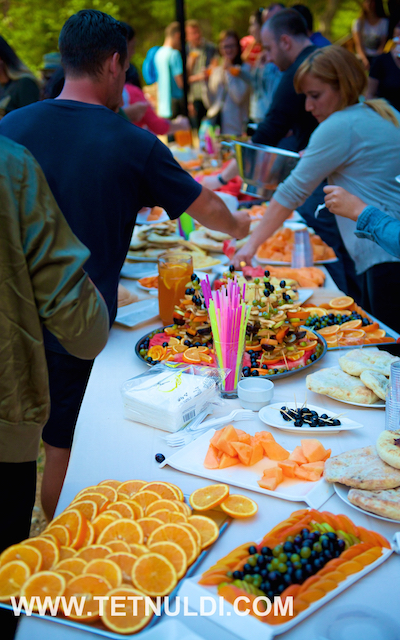 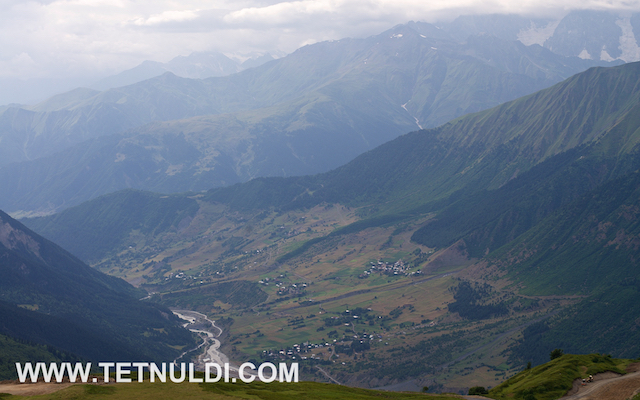 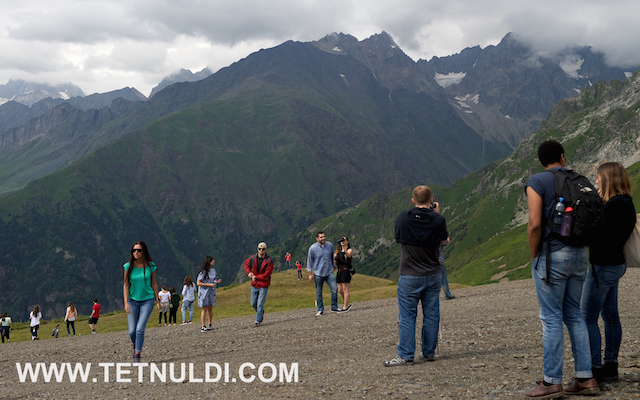 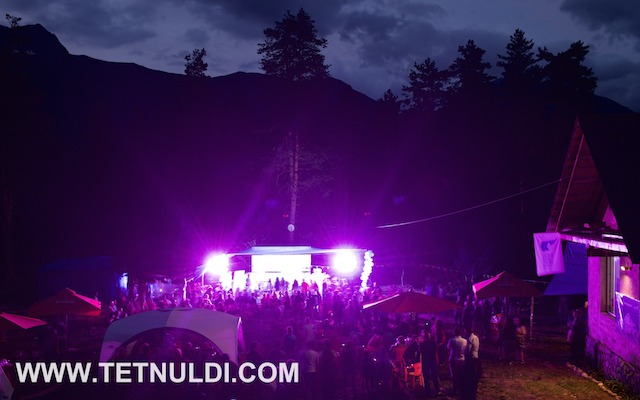 Follow the news on tetnuldi.com - closer to the winter season will be organized low cost promotional tours for groups by bus from Tbilisi and Kutaisi for the opening of the resort Tetnuldi and for New Year celebrations.